Apr 14, 2019 - Native advertising and ‘content discovery' platform Taboola, a company that was founded in 2007 with an estimated $1 billion in revenue last year, has expanded its colocation presence with listed hosting provider INAP (inap.com) in their flagship data center in Los Angeles. 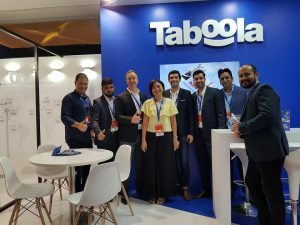 To deliver its advertising platform to the world's leading publishers and advertisers, Taboola requires "scalable, high-performance" colocation and network connectivity services. INAP's high-density colocation data center solution would allow Taboola to efficiently scale its power allocation in tandem with the success of their platform. Mar 23, 2019 - INAP Company Ubersmith Partners with ModulesGarden - Ubersmith (ubersmith.com), an INAP company delivering subscription business management software, has announced a partner agreement with ModulesGarden (modulesgarden.com) – specialists in delivering development services and software extensions to cloud and hosting companies. "The combination of ModulesGarden's expertise in supplying development services, as well as building integration modules and extensions, will help us better serve the marketplace," said Jeremy Chang, head of business development at Ubersmith. Mar 12, 2019 - Gaming Services Company Fragnet Selects INAP To Deliver Bare Metal Servers - Fragnet, a provider of online gaming services including game servers, dedicated gaming servers and voice over IP communication software, has selected INAP (inap.com)'s New York, Dallas, Chicago and Amsterdam data centers as hosting sites for its cloud-based services. Headquartered in Sweden, Fragnet's network infrastructure spans 30 data centers worldwide. It has partnered with INAP for their expertise in supporting scalable managed bare metal hosting solutions. Additionally, INAP's "high-performance" network solutions and worldwide reach would assure Fragnet's customers experience ultra-low latency and high availability – critical requirements for online gaming partners. Aug 10, 2018 - INAP To Launch New London Data Center in Alliance With Colt DCS - Global dedicated server, cloud hosting and colocation provider, INAP (inap.com), has announced a multi-year alliance with Colt Data Centre Services (coltdatacentres.net) UK Limited (COLT DCS). Under the partner agreement, INAP will build out a standalone, self-contained Tier 3-equivalent data center space in Colt DCS's North London Facility located in Welwyn Garden City. Aug 3, 2018 - INAP Expands in Phoenix Hosting Market With New Flagship Data Center - Hosting provider INAP (inap.com), a company operating its services in 58 primarily Tier 3 data centers in 21 metropolitan markets while having 99 network PoPs available around the world, is significantly expanding its data center presence in Chandler near Phoenix, Arizona through a master lease for a Tier 3 design data center located at 2500 West Frye Road in Chandler, AZ. Official Responses: 0) LLC, an Infrastructure-as-a-Service (IaaS) provider offering dedicated servers, colocation, VPS hosting, and distributed denial-of-service (DDoS) mitigations, for colocation and INAP's Performance IP services. US Dedicated now features three total data centers with INAP in Atlanta (inap.com), Seattle and the most recent addition in Dallas, with plans for more strategic growth with INAP across the US.